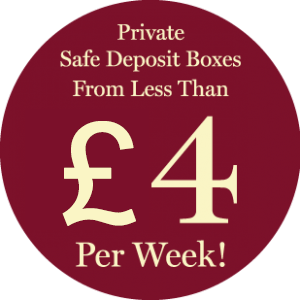 All Gold purchased from Nottingham Bullion can be stored securely at our onsite Safe Deposit Box facility. Our sister company Nottingham Vaults is a purpose-built vault which incorporates state of the art vault security technology. The vault and infrastructure was designed by security consultants from Lloyds of London.